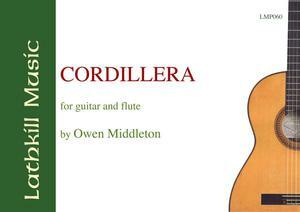 Cordillera is the name of a mountain range in Southern California. Owen Middleton set out to compose a work suggestive of that region and has come up with a highly lyrical and beautiful piece, folk song-like with a Spanish flavour. The work is dedicated to Gregory Newton and Laura Halladay.